Federal Housing Administration insures FHA Home Loans mortgages. It has lower underwriting standards, low rates as compared to the conventional ones and low down payment rates of 3.5%. In addition, FHA borrowers are saved by mortgage insurance, which is a must to be paid, in case they default. First-time as well as repeat buyers like to get a home with low or no down payment at all. In this scenario FHA loan remains the best choice. Out of every five US buyers, one chooses FHA loan. In part, FHA loan is popular because it requires just 3.5 % down payment. Moreover, FHA mortgage rates are lower as compared with others, and a subsequent buyer can also have this loan. It also has flexible underwriting standards. And this is really attractive especially when you have high mortgage rates in the competitive market. We Will Help You Qualify for An FHA Loan – Click Here To Pre Qualify Today. During The Great Depression when the US was going through a period of ‘heavy renting’, Federal Housing Administration was established in 1934. At that time 4 out of 10 owned a house. Moreover, mortgage terms were nearly impossible to meet up with. 50% down payment, agreement on a loan term of 5 years or less and also a hefty sum to be paid to the bank after a first few years spent with the mortgage. Not everyone was able to meet up with such mortgage conditions in 1930s. During the same era, the US government devised a plan to ensure that maximum people have their own homes. Government officials argued that it will stabilize neighborhood and help US economy thrive. So FHA and its mortgage program were established. A prominent feature with the FHA mortgage was Mortgage Insurance Premium (MIP) program. Under this program, FHA insured lenders if they faced default situation. To get FHA’s insurance on their loans, banks needed to verify whether the loans met FHA’s minimum qualification standards also known as FHA mortgage guidelines. FHA MIP program boosted up confidence of banks and in turn they provided US home buyers better loans. As a result, first down payment requirements plummeted then the 5 year loan term was abandoned and replaced by more flexible terms of 15 to 30 years. Mortgage rates also dropped. At present, FHA remains the biggest mortgage insurer in the world. US home buyers now have a diverse range of loans available. Fannie Mae and Freddie Mac provide conventional loans, USDA provides Rural Housing Loans and Department of Veterans Affairs provides 100% loans. Still the top choice with US home buyers remains the FHA loan. Its low mortgage rates, lesser down payment and easy lending guidelines make it the top choice of home buyers. 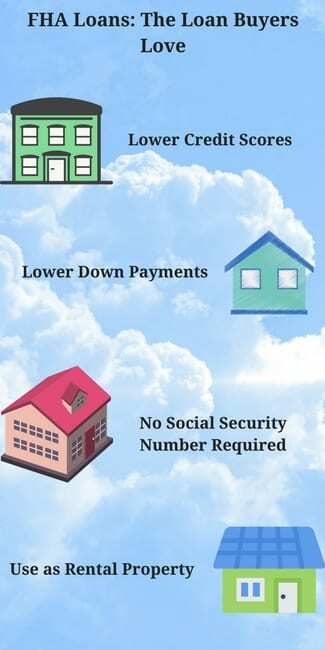 Let’s look at some of the benefits of an FHA loan. FHA MIP is an important part of FHA mortgage. That’s the reason most people choose to seek FHA-insured loans. Now news to be cheered about is that FHA MIP rates are 50 basis points per annum that is 0.50% lower as compared to the rates in 2014. There are other benefits. 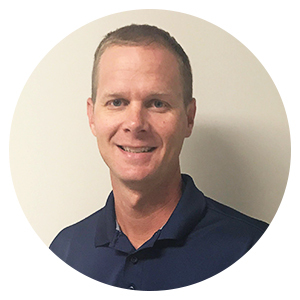 You can reduce what you will annually owe in FHA Mortgage Insurance Premium Program wither using a 15 year mortgage plan against your FHA loan or increasing down payment to 5 percent. There is a more common option: refinance yourself out of MIP program. Home buyers now-a-days have limited mortgage options to choose that offer down payment of 5 % or less. FHA offers the same. Home-buyers can make just 3.5 % down payment with FHA loans. This is a huge encouragement for those people who don’t have enough savings to make heavy down payments or they have set aside some amount to pay for moving costs or emergency funds. This is an offer not usually given by most mortgages. But FHA provides you an opportunity to make full down payment for your house from a gift. It is quite flexible with gift funds. It means if you need to make 3.5 % down payment from a gift by your employer, parents, a government home-buyer or some charitable group, FHA mortgage allows that. Of course, there is some due process to follow. It becomes a problem with other mortgages if you don’t have a valid social security number. But if you are applying for an FHA loan, it’s fine. They don’t need it. FHA is flexible enough to permit loans for non-permanent residents, staff of foreign embassies and employees of World Bank. High debt-to-income ratio is for sure a problem if you are tackling with mortgages, but it is not the case with FHA. Debt-to-income ratio is usually calculated by comparison of two things: buyer’s debt services and pre-tax income. For example, if a buyer has monthly earnings of around $5,000. Out of which debt payments stand at $2,000. Then DTI will be 40%. Mortgages such as Fannie Mae and Freddie Mac allow 36 % to 43 % DTI ratios. Under 25% down payments Fannie Mac relaxes DTI to 43 % for FICOs at 700 or above. As reported by Ellie Mae, a mortgage software company, average DTI for closed conventional purchases remained 34 %. Average DTI for closed purchases of FHA loans remained 41 %. FHA relaxes DTI to 50%. But to compensate for this high ratio, you will need to have great credit score, down payment above from the minimum required and hefty savings. This is also a plus. Any FHA-approved lender can fund your loan. The list contains credit unions, mortgage lenders and savings-and-loans institutions. Perhaps its reason is that FHA loans have a huge market share. It helps create a competitive environment, and as a result lenders are offered low FHA rates to attract maximum people. So, it is easy to have your loan through negotiations. If one bank rejects your loan, the other approves it. You can have a mortgage of any type. There are 30-year fixed rate mortgages, 15-year fixed rate mortgages and a number of adjustable-rate mortgages (ARMs). FHA also offers purchase-and-improvement loans. This loan is for buyers who want to buy a home that is in need of reparation. Construction loans through 203k program for people who want a newly-built house. There are energy-efficiency loans in case you need to finance your energy-efficiency needs. There is also a series of FHA refinance loan products. With FHA loan you can buy any type of home in any locality in the US. It doesn’t matter if you are looking for a neighborhood in any of the 50 states, any US territory or the District of Columbia. FHA offers insurance on 4-unit homes, 3-unit homes, 2-unit homes, single family detached homes, mobile homes, condominiums and manufactured homes. Other conventional lenders impose high FICOs. Fannie Mae and Freddie Mac boast that they accept FICOs as low as 620 but these agencies are just the creator of guidelines on the basis of which mortgages are issued by lenders. When case reaches banks and mortgages companies, they add their own rules, dubbed as overlays, into the deal. A recent report by a loan software company Ellie Mae showed that an average home-purchase with Fannie and Freddie stood at 754. The same report revealed that FHA closed purchases required average FICO of 686 that was 60 points lower than the above mentioned. Ellie Mae further reveals that around 37 % of FHA loans are adjusted with 650-699 FICO. Another 24% secure approvals with 650-649 FICO. While majority of Fannie and Freddie approvals are finalized within the range of 700-749 FICO which is 100 points higher than that of FHA’s. It is recommended that you maintain your credit score at a high position. But people who suffer from bad FICO because of financial mistakes of the past can now easily get approved for a home with bad credit without waiting for their credit score to be restored. Yes, FHA provides this facility. Housing and Urban Development department restricts FHA from depriving any applicant from mortgage just on the basis of no credit history. It allows home-buyers to create a non-traditional credit that may replace standard credit history. It is helpful for people who lack credit history. Payment histories of borrowers on phone bills, apartment rent utility bills and car insurance bills can be used to create a non-traditional credit. A loan limit can be defined as the maximum permissible loan for a certain area. Just like conventional loans, FHA loan limits can be extended. For example, you can get insurance up to $ 625,500 in Orange County, California. Loan limits increase up to $1,202,925 for 4-unit, 3-unit and 2-unit homes. This facility is not usually offered by conventional loans. It means that if a person purchases a house with FHA-insured loan and plans to sell it later when the interest rates have shot up, he can still be able to offer a buyer the right to assume the low-rate at which he had purchased it. FHA offers construction loans under the banner of its FHA 203k loan offer. These loans are accessible to buyers who need upgrades to their new home. It is also for homeowners who are seeking to repair their existing home. Projects under this loan include structural additions, new roofing and also complete tear-down of a home. This loan can be used for minute reparation and fixer-uppers. FHA offers you to buy rental property by making 3.5 % down payment. Your selected property should be multi-unit. For example it should be a duplex, triplex or fourplex. You should make one unit as your residence putting the other units on rent. The rent taken from the other units will compensate partially or fully the mortgage payment. You can have investment homes at 15 % down rate if you have robust credit, assets and income. This scheme can make you a landlord with lower risk while providing you potential benefits. FHA loan limits range from $275,665 to $636,150 for one-family residences. These limits for FHA are set by Metropolitan Statistical Area or county. Apart from other states, limits for Alaska, Hawaii , Guam and the US Virgin Islands are higher. Is there an alternative to FHA loans? Many government-backed and non-government options are there with flexible underwriting and manageable down payments. These options include Fannie Mae HomePath (now called HomeReady) and Freddie Mac HomePossible mortgages. USDA mortgages, non-conforming loans and VA loans also are other options. These alternatives have limitations. VA mortgages are only for eligible and veteran applicants while USDA loans are not without income restrictions. Moreover the latter is available only for thickly populated areas. Conforming and conventional loans also demand higher credit scores. It is always a smart thing on part of home buyers to compare various mortgage programs before taking final decision. The FHA Streamline refinance is an exclusive program that offers buyers a quick way to refinance. No credit score checks, no verification of income and also home appraisals are waived. Additionally homeowners who have a mortgage pre-dating June 2009 have access to reduced FHA mortgage insurance rates. 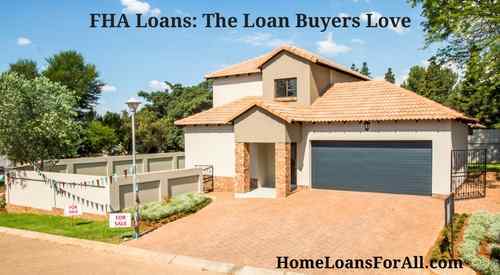 What is an FHA first time home buyer loan? An FHA loan is a mortgage that is offered by private lenders and backed by the Federal Housing Administration. It features a low down payment, low interest rates, and a lower minimum credit score. What are the FHA first time home buyer benefits? The most significant FHA first time home buyer benefits are the reduced down payment (only 3.5 percent for individuals with a credit score of 580 or higher) and the lower credit score requirements. They are particularly great for first time buyers because they do not actually require credit at all. What do first time home buyers get? First time home buyers get more flexible requirements and significant savings on their down payment and interest rates. Who qualifies for first time home buyer programs? Anyone who has never owned a home or has not owned a home in the last three years qualifies for first time home buyer programs. Borrower eligibility is still subject to lender approval, but these are the minimum requirements in order to qualify for the loan. Does the government issue the FHA loan for first time buyers? No, the FHA mortgage will only be issued by private lenders. Do you have to be a first-time home buyer to receive the FHA loan? No, you do not have to be a first time home buyer to receive the FHA loan. What is the first time home buyer credit score required? The minimum credit score required for an FHA loan is 500, but you will still be subject to lender approval. Read about additional FHA Loan Requirements here.